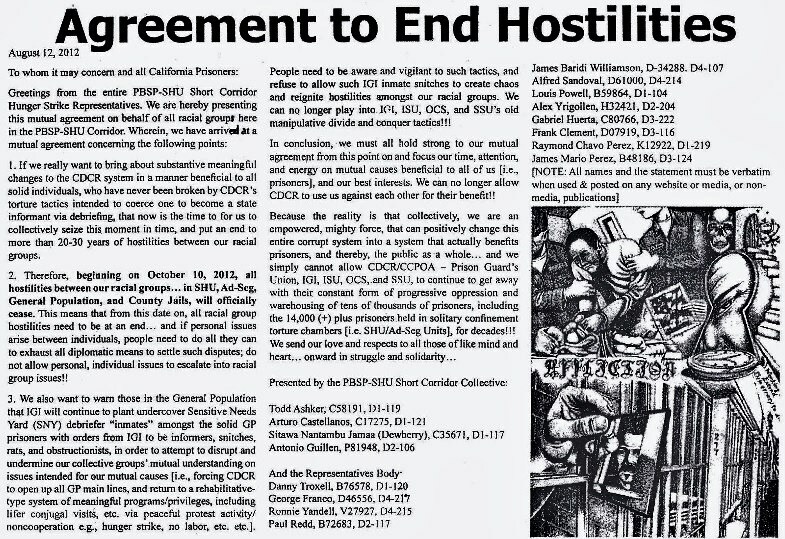 I want everyone to know that I agree with my co-principle negotiators’ articles in the October 2014 SF Bay View newspaper: 1) “California prisoner representatives: All people have the right to humane treatment with dignity” on page 5 and 2) “Unresolved hunger strike issues” on page 16. I want to encourage everyone to subscribe to this newspaper. It is the voice of all people! 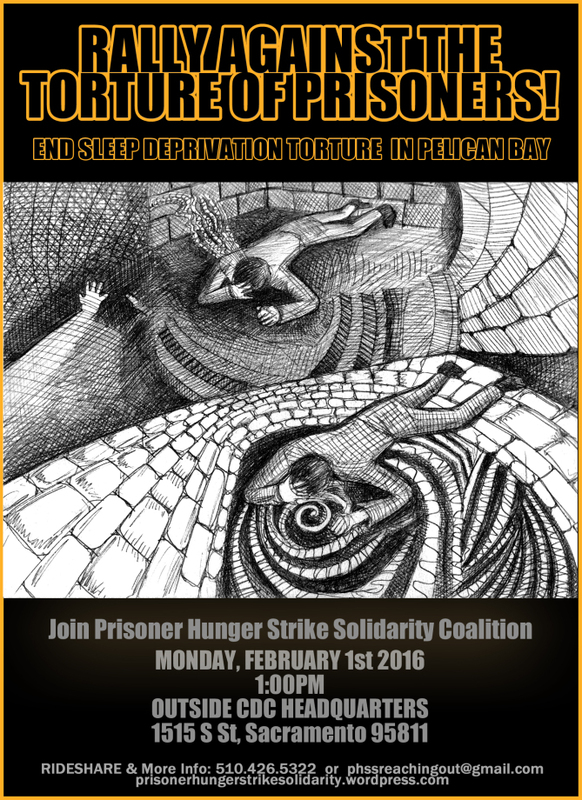 Determined to preserve our human lives and those of all prisoners within the state of California, we, the Prisoner Human Rights Movement, call on all citizens to get involved with social change now.